SouthworldYouth & MissionEmpowering African Youth. Commenting on this, Ellen Johnson Sirleaf, Africa’s first female President (Liberia) and the 2011 Nobel Peace Prize winner, said that, “Africa is not poor but poorly managed”. One major factor amid all the challenges for youth is the rapid advancement of communications technology.Some consider this technology, which is strongly embraced by young people, as a new ‘opium’. The various Silicon Valley creations are hugely popular and widely consumed on the continent. But others point to an encouraging ‘Arab Spring’ in the area of social media. Tragically, left behind by the rapid pace of technological transformation, and by growth and change, are the many young people who do not have the same access or opportunities. These youth remain poorly educated and unemployed as their governments and economies do not provide conducive environments for self-growth and self-realization. This then becomes a push factor for young people, who may even risk their lives by engaging in desperate attempts to migrate, as evidenced by the mass drownings of African people crossing the Mediterranean Sea. It is in this context, which may be either oppressive or promising, that the Church continues to form international young people who are determined to grow and change, using the tools of Catholic Social Teaching and Ignatian Spirituality. 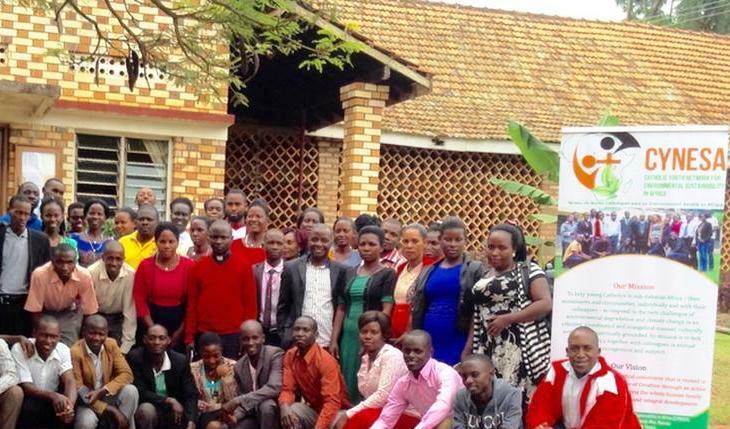 Youth ministry programs, such as ‘Magis’ or Integral Youth Development (IYD) in my own Jesuit Province of Zimbabwe- Mozambique, for example, have been avenues for socio-economic and spiritual change. ‘Magis’ promotes Ignatian Spirituality among young people and a way of life dedicated to service and the pursuit of justice. IYD is a Jesuit project that seeks to empower youth aged 12-29 to prevent HIV infection, to attend to their civic responsibilities and to protect the environment. One on-going, outstanding example of a beneficial youth program is found at St Peter’s Parish in Mbare, the poorest and oldest township of Harare, Zimbabwe. Unemployed young people there started a clean- up campaign to raise awareness and improve stewardship of society’s public spaces. Through their efforts, a novel project was born, the ‘Team Up 2 Clean Mbare’ initiative for ecological justice. Its monthly clean-up campaigns in the neighbourhood have transformed a former dumpsite in Mbare into a park and playground.